However, hair lost as a result of chemotherapy does grow back and there are methods to help reduce hair fall. Chemotherapy describes any treatment where ‘chemical’ agents are given intravenously. With cancer, the chemicals given during chemotherapy are used to destroy cancer cells, but these drugs can also have a toxic effect on other parts of your body and very often disrupt your natural hair growth cycle. Cold caps are tightly bandaged ice packs around the head. They inhibit the flow of the chemical therapy around your head and so limit the flow of chemicals to your scalp and hair capillaries. Some hair may still fall out, but not to the extent of near-baldness. However, cold caps can be unbearably uncomfortable and many find the amount of hair saved does not warrant using them. As soon as your hair has grown back, and is strong enough, you can start using conditioners and styling products as usual. Having your hair styled by a professional hairdresser who knows you and understands your situation can also be very helpful and reassuring. However, great care should be taken when styling initally to avoid pulling out and breaking new, fluffy hairs – this is especially true with massage. 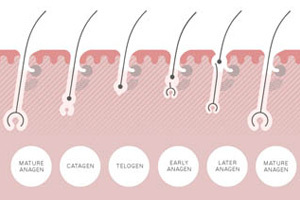 Hair colouring can also be continued, but a skin patch test must be done initially, regardless of applications before chemotherapy. This is particularly important with permanent hair dyes. 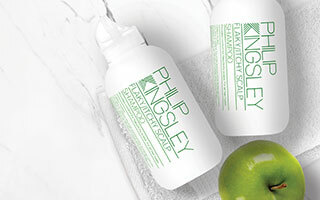 Liz Phillips, Philip Kingsley Trichologist, New York: ‘As soon as your oncologist clears you for topical treatments, you can start to circulate, stimulate and increase blood flow to your scalp. Your follicles are going to want to grow hair. 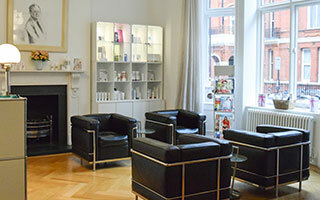 You can encourage this with appropriate treatments – such as scalp masks and prescribed stimulant drops, and perhaps changes to your diet and nutritional supplements if needed.’ For more information on treatments we offer at the Philip Kingsley Trichological Clinic, please contact us at either our London or New York office.